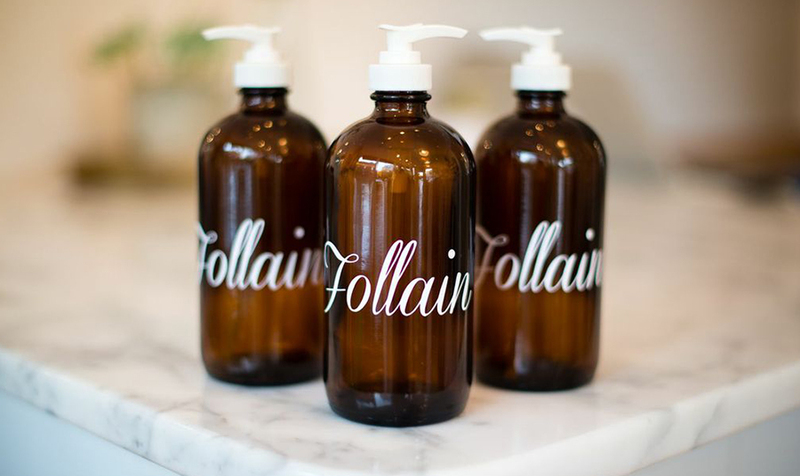 Spring cleaning for your skin is a quick stop away at Tara Foley's newly opened Follain on South Water Street, Nantucket. Immaculate white subway tiles, marble counter tops, copper fixtures, and a soap stone sink give an air of wholesomeness and purity. In fact, the name is Gaelic for 'wholesome, healthy and sound'. The neat little shop is stocked with skincare products and cosmetics that are truly clean - made in the U.S and without any harsh chemicals. One of the signature products is a refillable liquid hand and body soap, in a rotating selection of fresh scents like lemongrass, lavender, and sweetgrass. 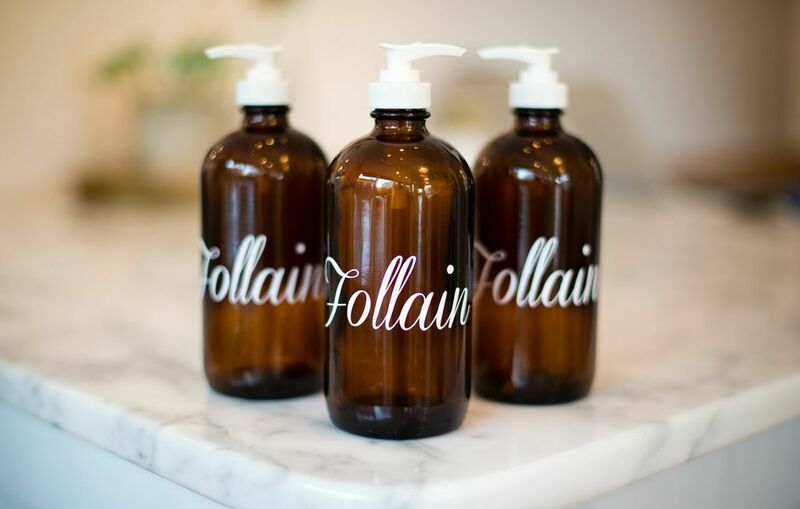 Follain is offering a 'summer soap' discount to those who purchase a 16-ounce bottle and three refills upfront upon their first visit to the store - regular cost is $40 and they are offering it for $36.